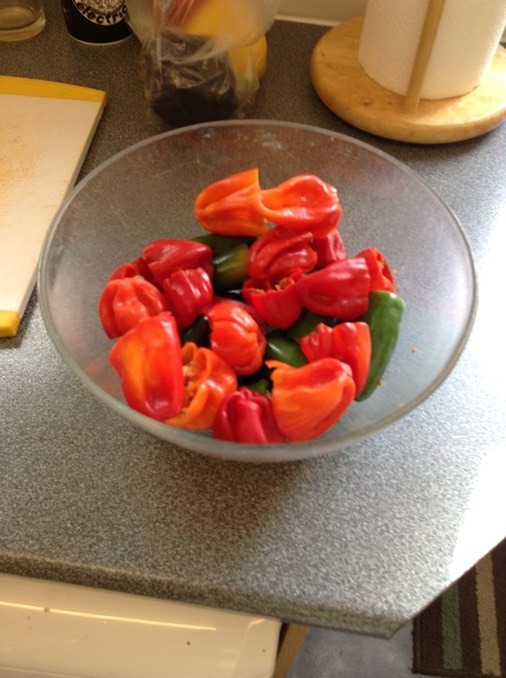 I chose these chillies since that is what was available in my local supermarket. I did not de-seed the chillies this time since I was planning to strain the sauce later in the process, plus I wanted the extra heat. If you prefer less heat you should remove the seeds.